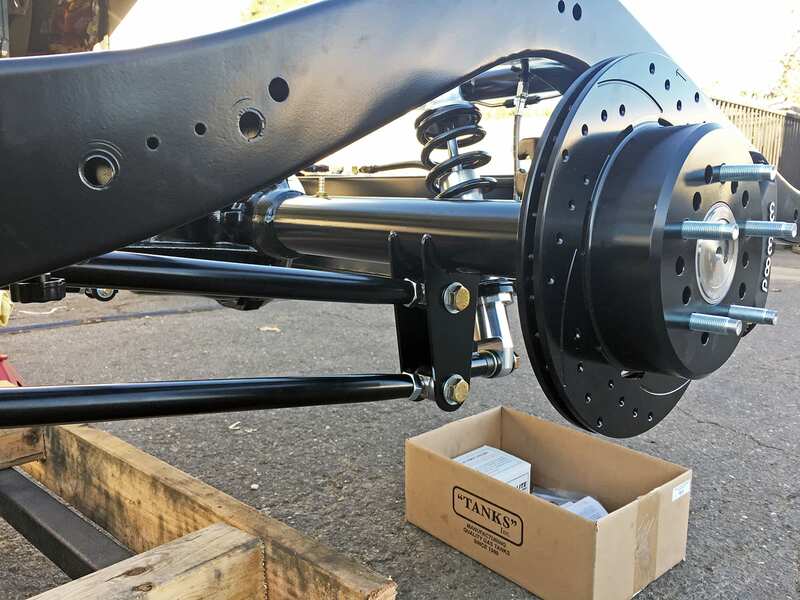 Our 4-Bar Kits are truly Parallel 4-Bars that use a Panhard Bar to control lateral movement. 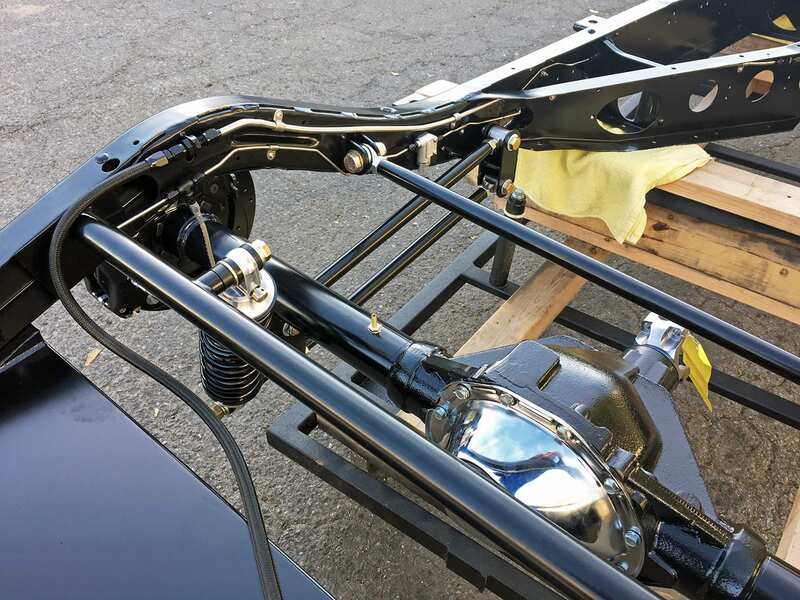 Using a very long Panhard Bar perpendicular maximizes efficiency and reduces lateral movement throughout the travel. 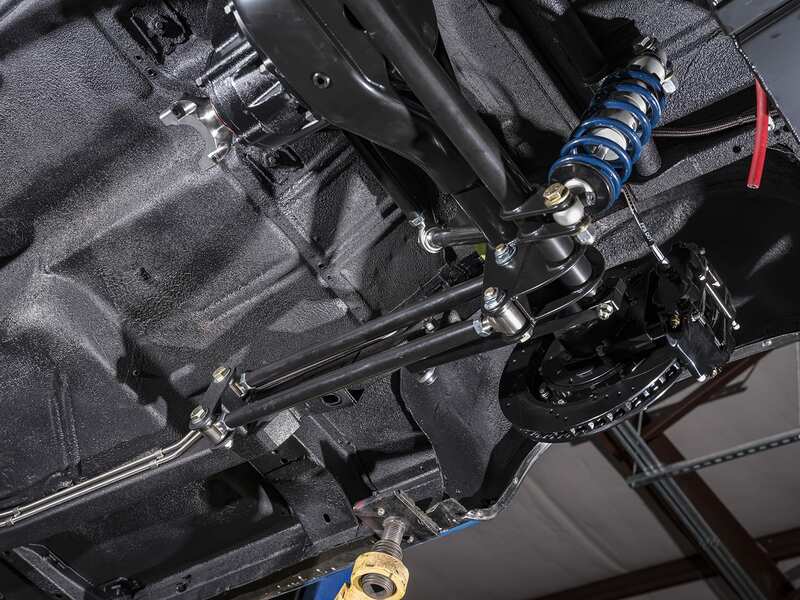 Our kits come complete with a shock Crossmember allowing you to determine final ride height when installing. 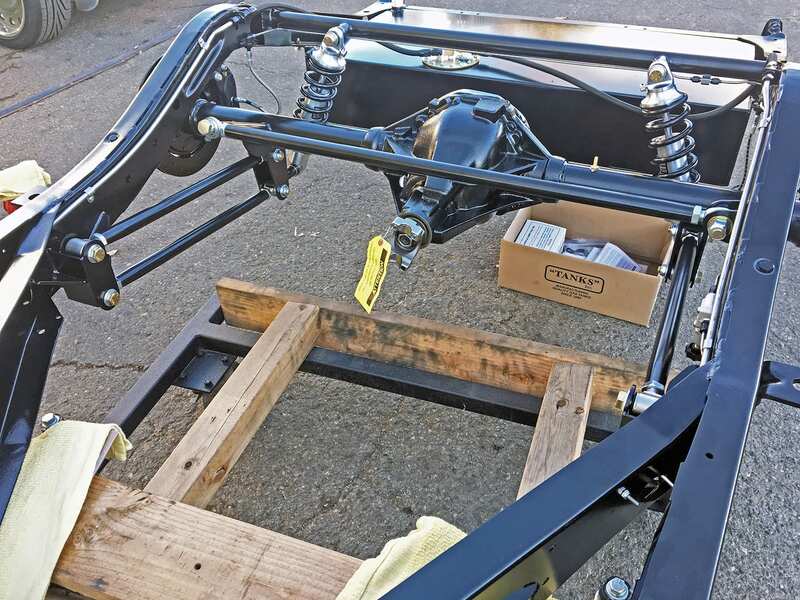 Most hot-rodder’s upgrade their front suspension, but forget to address their rear suspension, which is just as important to the ride and handling of their car. 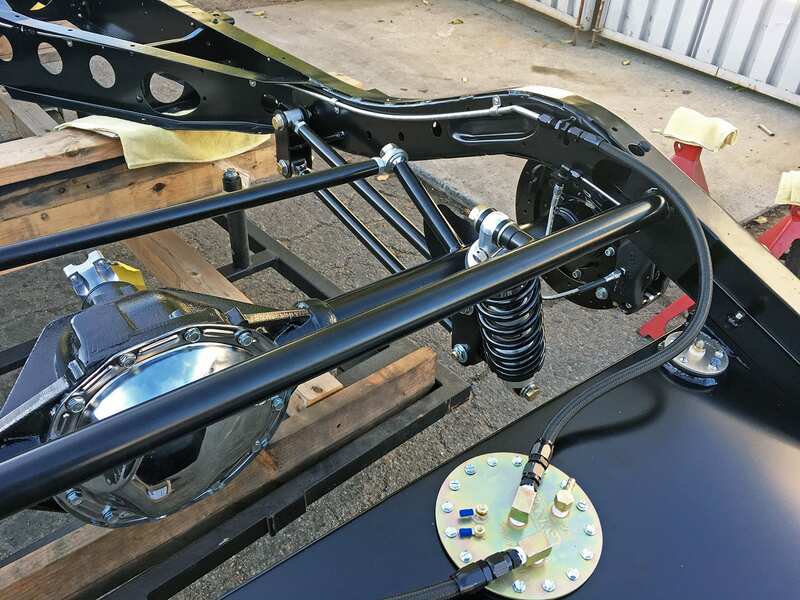 Often times so much focus is spent on the front suspension of a hotrod that it can actually reduce the drivability of the vehicle because of excessive rake or unmatched spring rates. 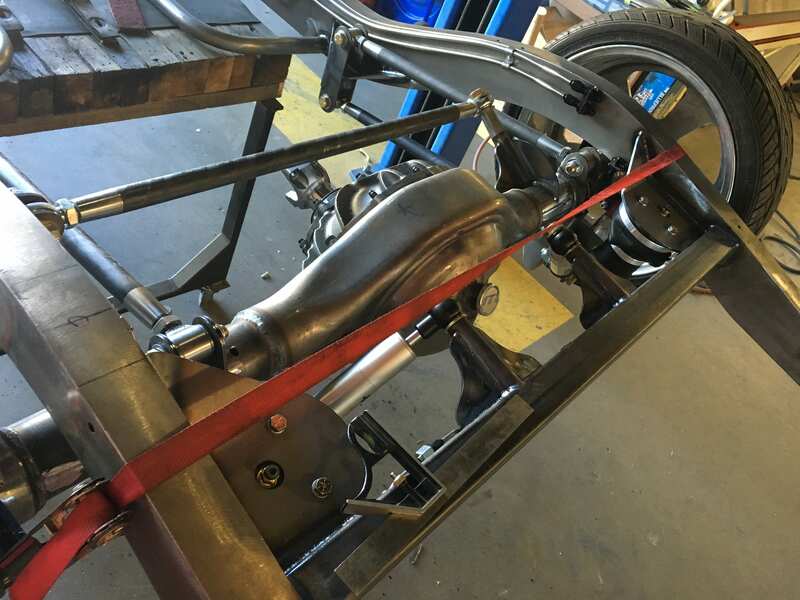 Scott’s Rear Suspension is quite simply….simple. 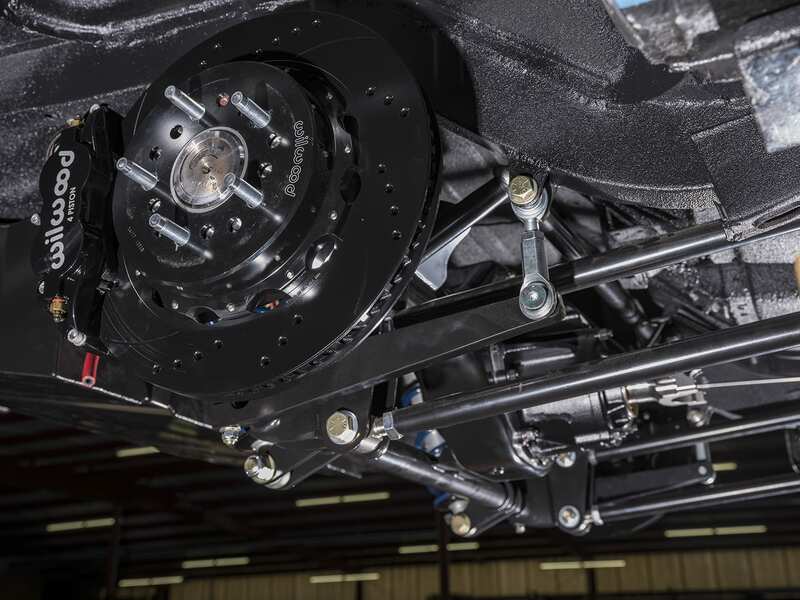 The 4-LINK Kit is designed to be both user friendly and fully adjustable at the same time. This kit is. With a Scott’s 4-LINK, you decide on the optimal roll center, as well as the correct length bars. 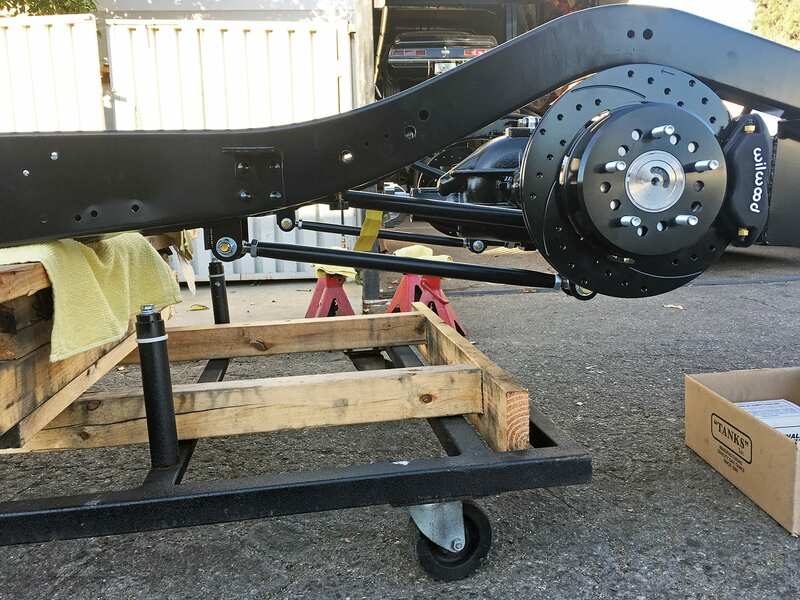 The 4-LINK Kit is for the serious racer that needs to dial in their rear suspension for launches. 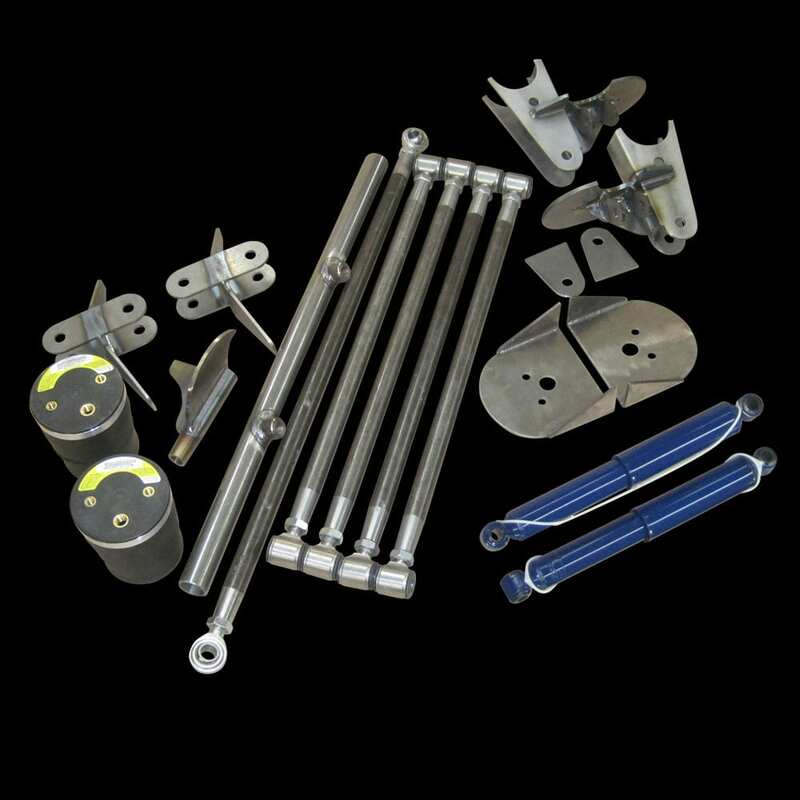 We use our CNC machined Billet stainless rod-ends with right-hand and left-hand thread. 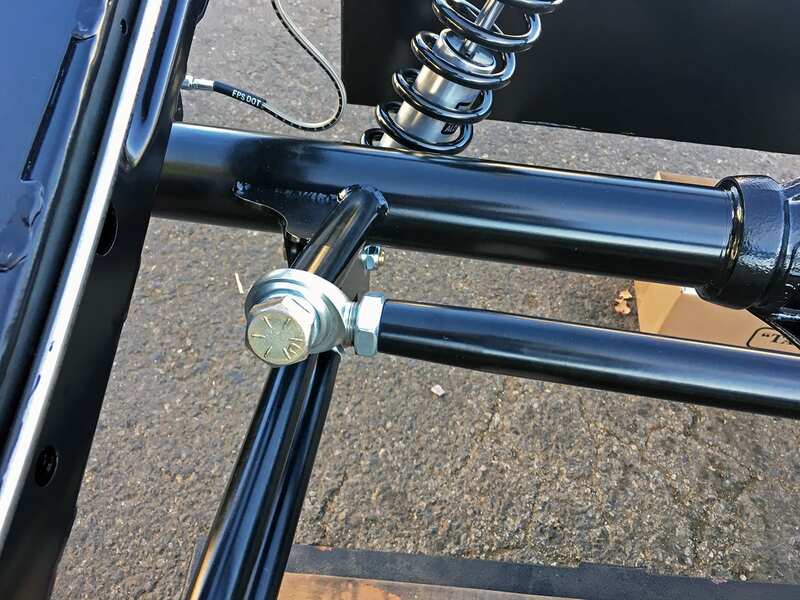 This allows the user to adjust pinion angle and set up without the need to unbolt the rod-end or take apart the 4-LINK. 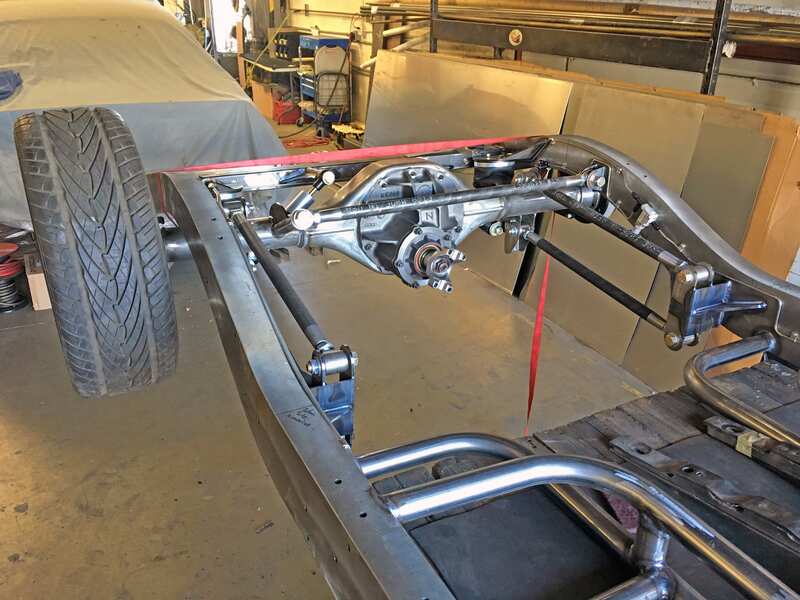 The same 1”-1/8”x 1/4”-wall, seamless DOM tubing is used for the Link and Panhard bars. All bars are CNC machined in house by Scott’s to maintain the strictest quality control in manufacturing. 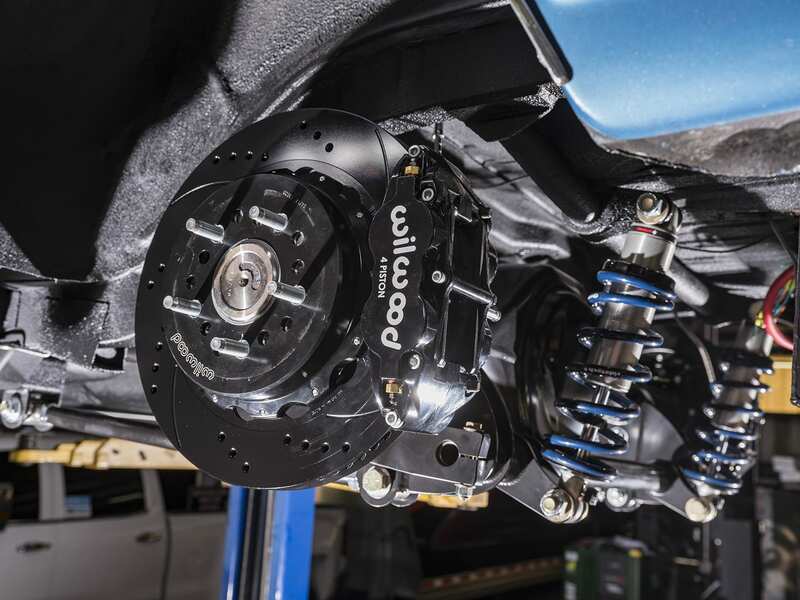 Scott’s parallel 4-BAR Kit is designed for your basic street-rodder application. 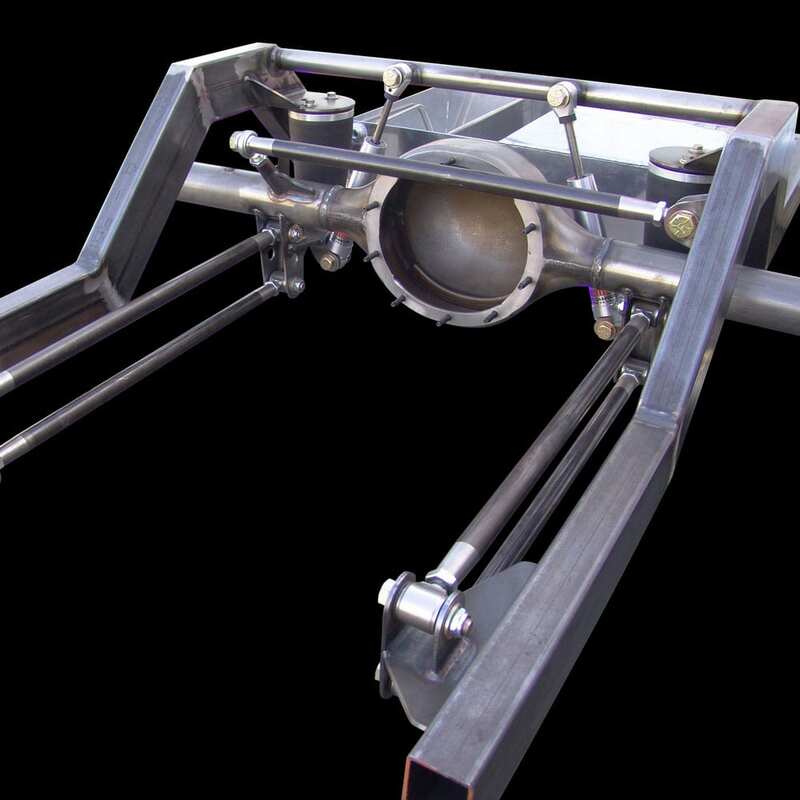 Set up to work for a variety of applications, this design will be set up for maximum handling and comfort. The parallel bar design works very well for most applications. If you are not sure which one is right for you, Scott’s can help you decide. 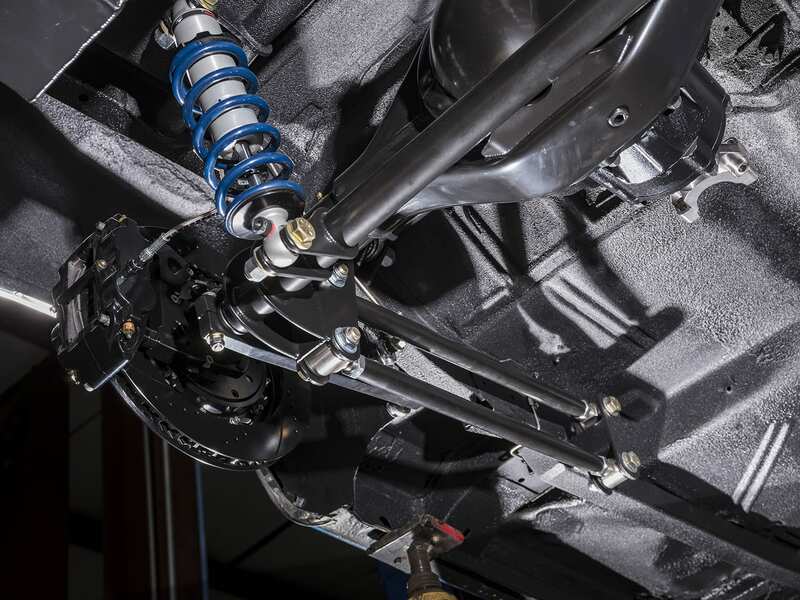 Both the 4-LINK and 4-BAR kits are available with Coilovers or Airbags and Shocks. 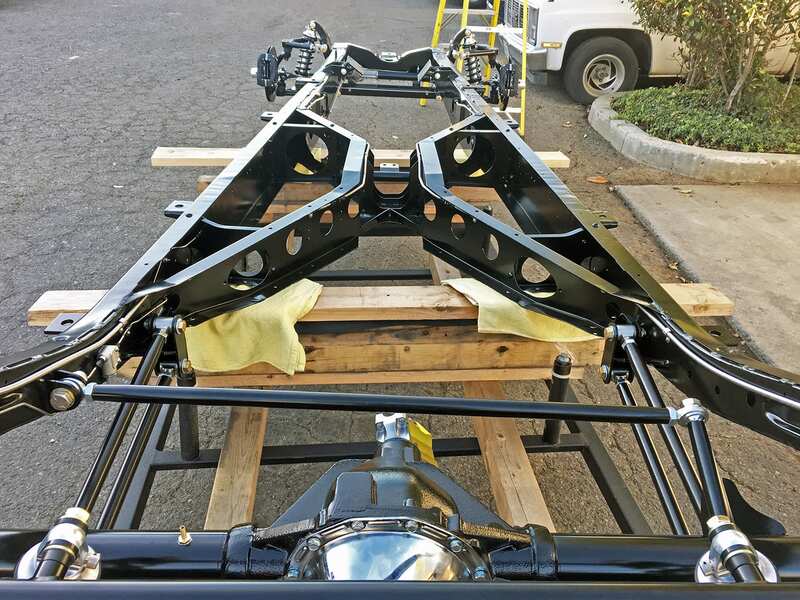 All the included brackets are 100% TIG welded and come with a lifetime guarantee. Scott’s Equal-Length Parallel 4-Bar is quite simply….simple. 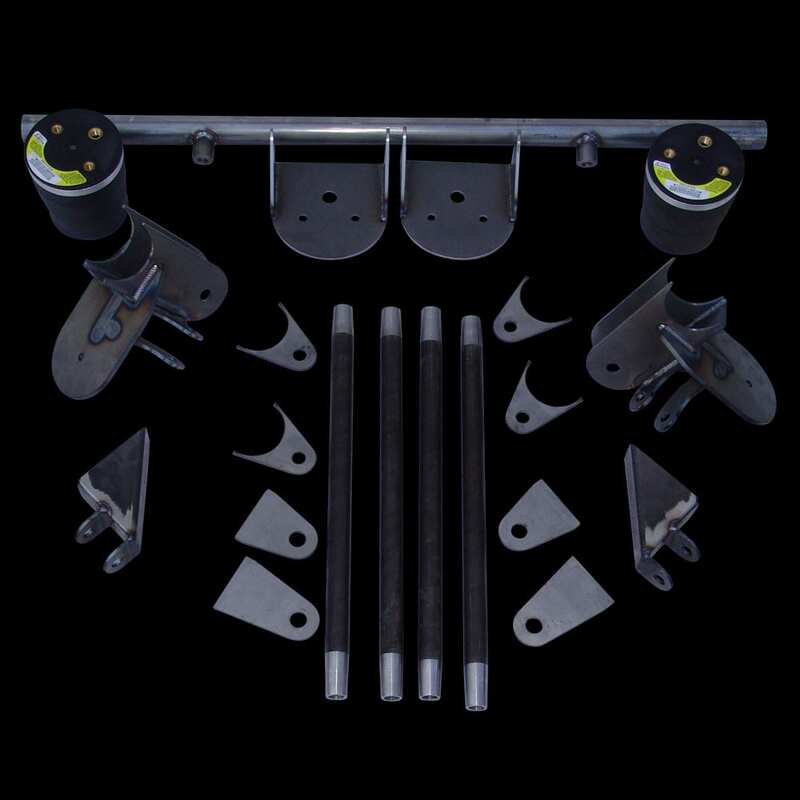 This kit is designed to be both user friendly and fully adjustable at the same time. With a Scott’s 4-Bar, you let us decide on the optimal roll center, as well as the correct length bars. 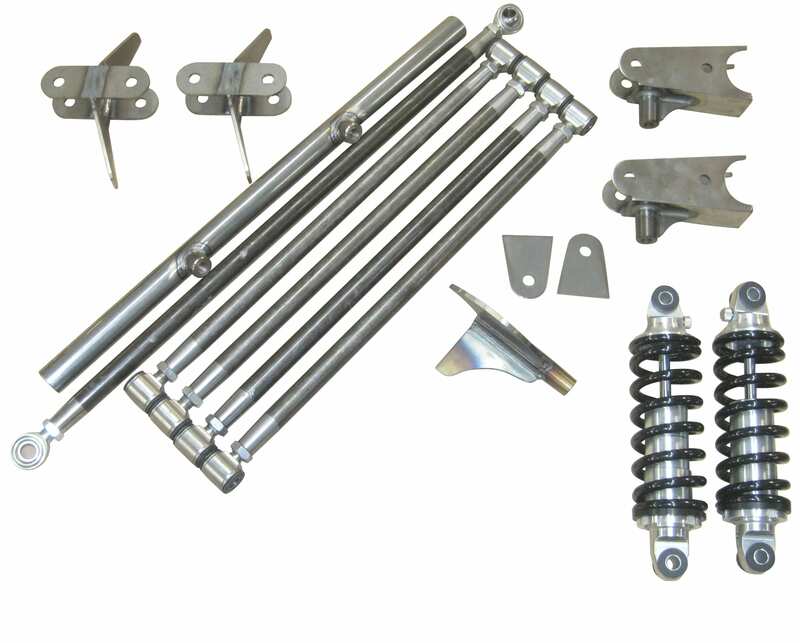 We CNC machine the Stainless Steel rod ends in both Right- & Left-hand thread that allows the user to adjust pinion angle and set-up without the need to unbolt the rod-end or take apart the link. 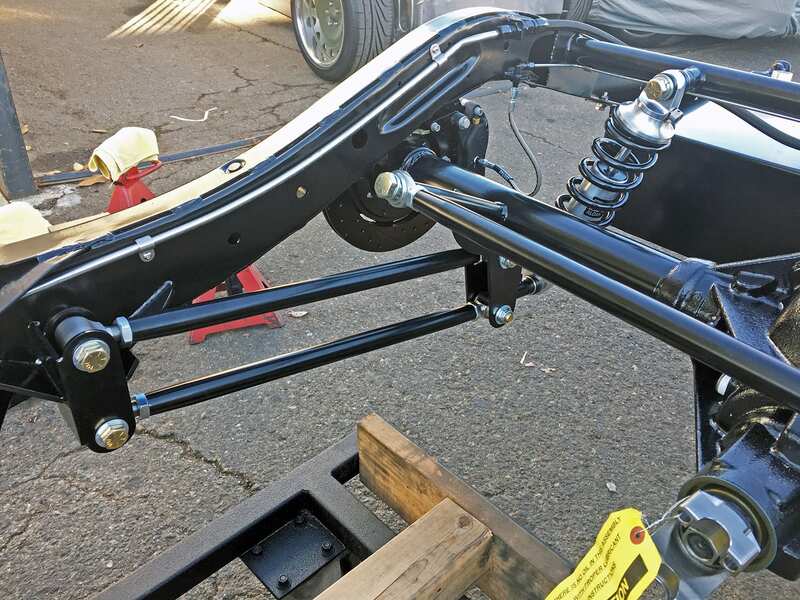 The same 1”-1/8”x1/4”-wall, seamless DOM tubing is used for all the bars as well as the Panhard. All bars are CNC machined in house by Scott’s to maintain the strictest quality control in manufacturing. 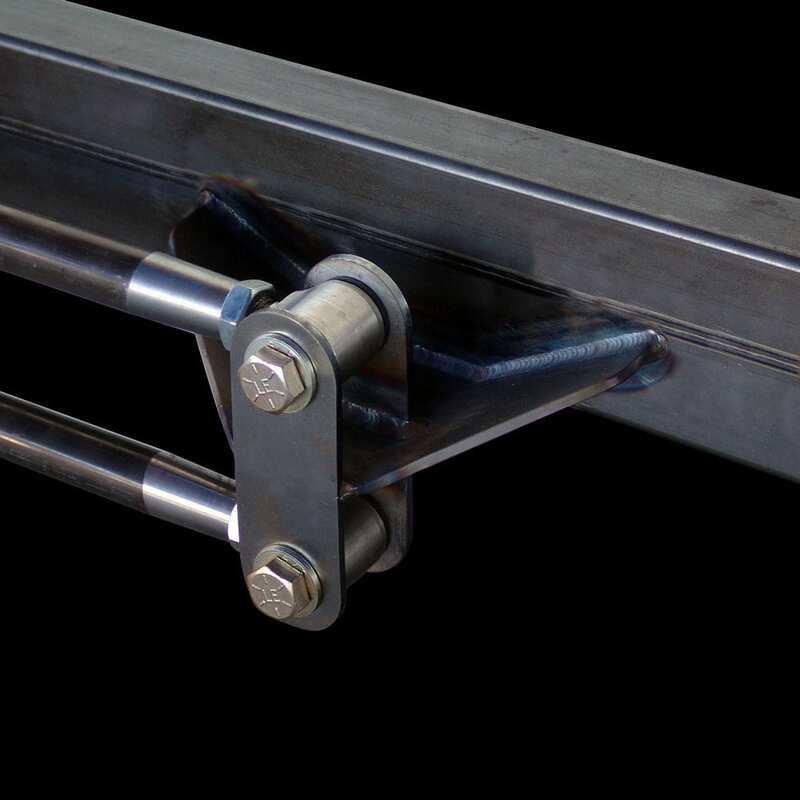 All the included brackets are 100% TIG welded and come with a lifetime guarantee. 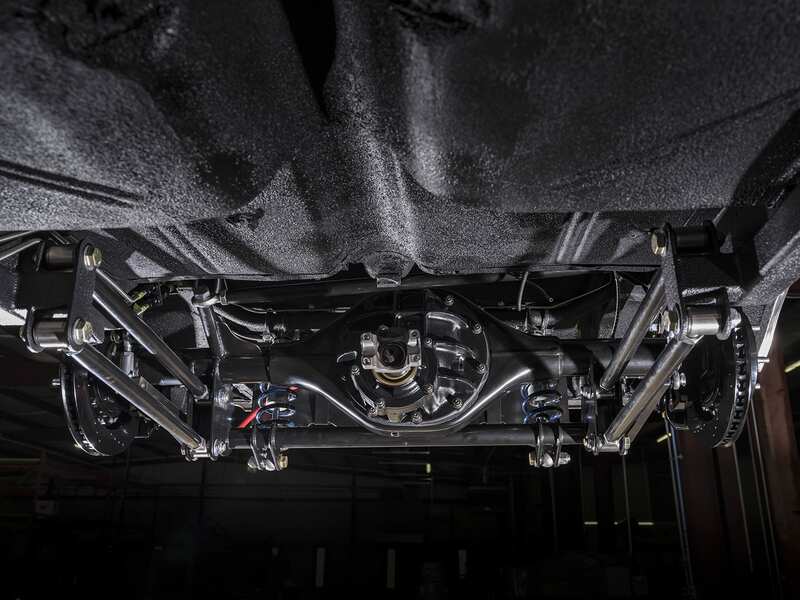 Scott’s Hotrods also manufactures a fully adjustable 4-Link for Pro Street applications. 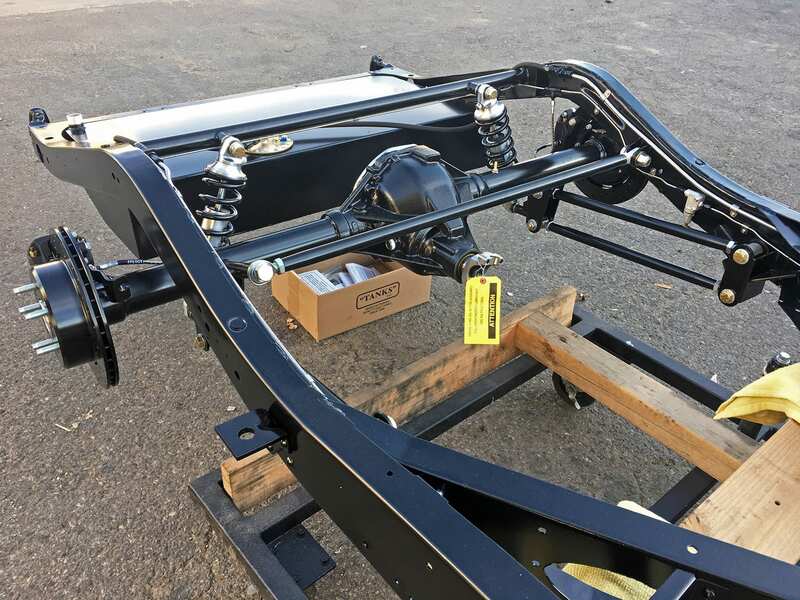 Scott’s adjustable 4-Link comes with all 4 bars, hardware and Panhard bar. Your front brackets are adjustable and are made to your specifications. As a standard unit, the Scott’s adjustable 4-Link will be adjustable with a set forward bracket. 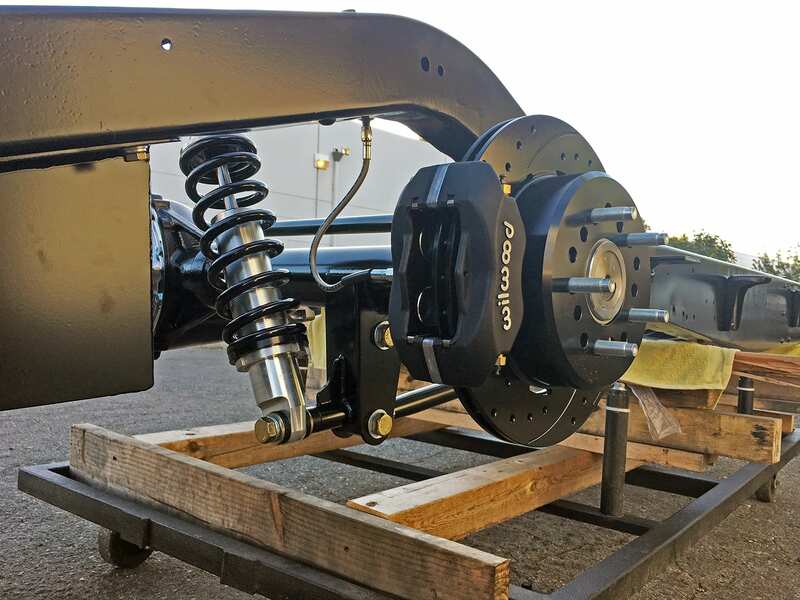 This allows you to dial in your rear suspension for the desired bite you are seeking. 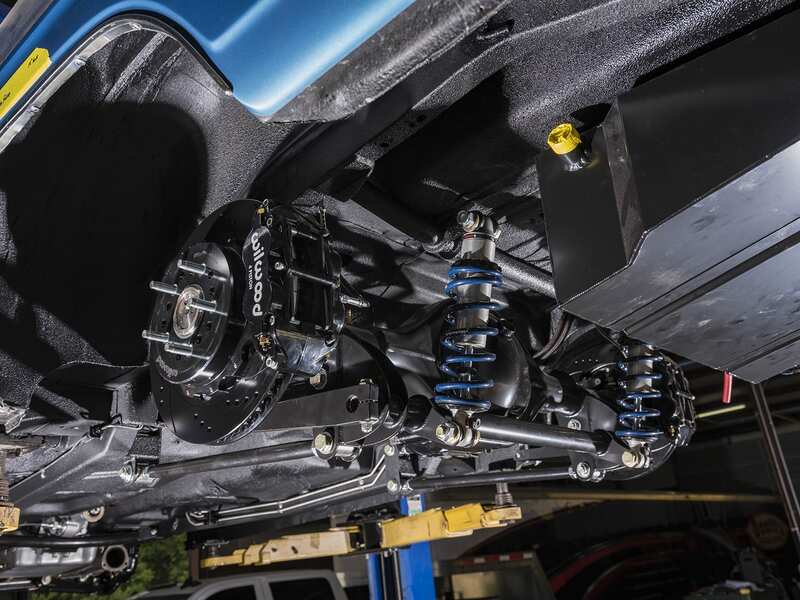 Scott’s parallel 4-Bar is designed for your basic street rodder application. 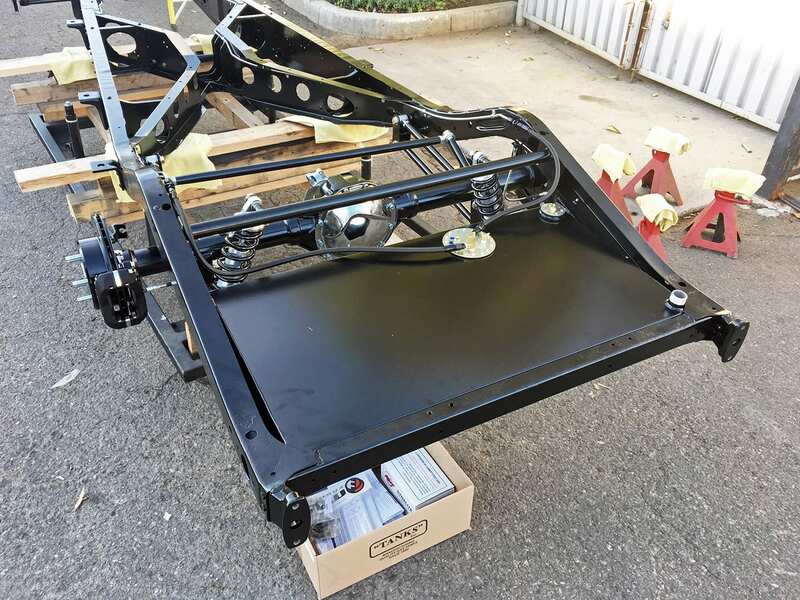 Set up to work for a variety of applications, this design will be set up for maximum handling and comfort. 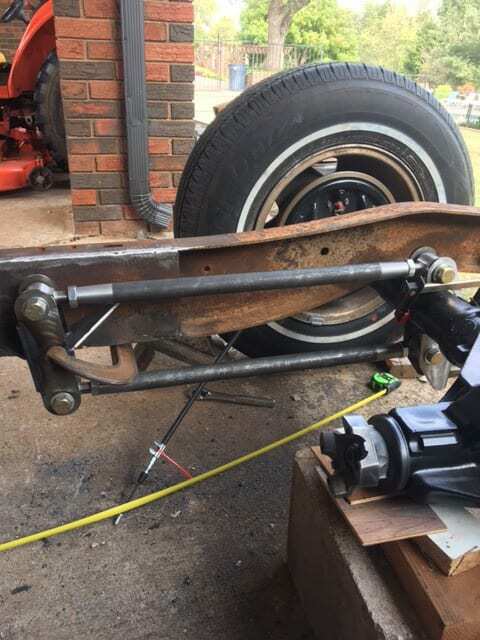 This design can also be set up triangulated for those not wanting to run a Panhard bar. 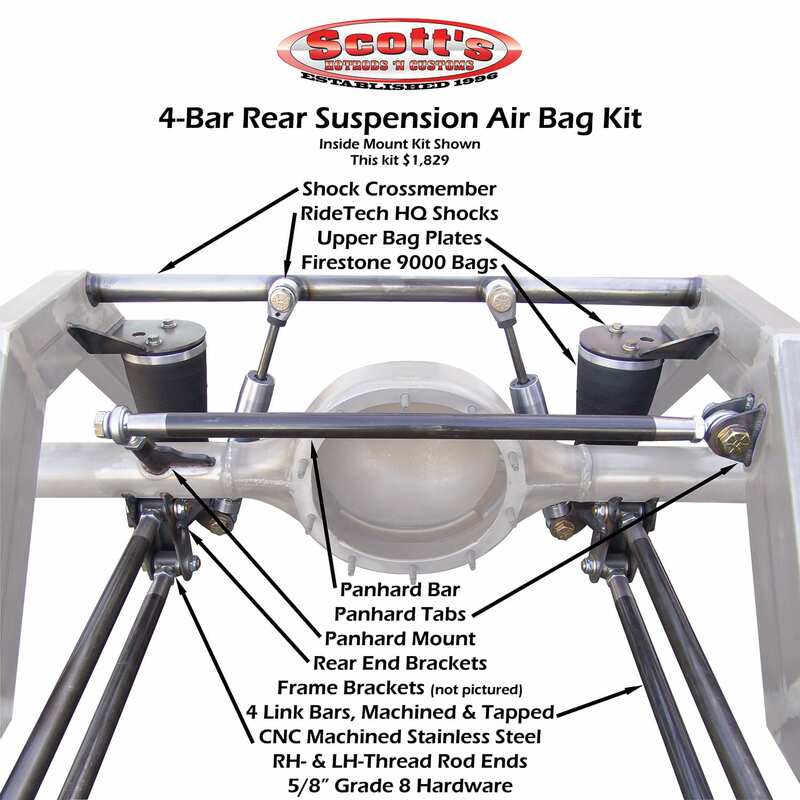 If you are not sure which one is right for you, Scott’s can help you decide.